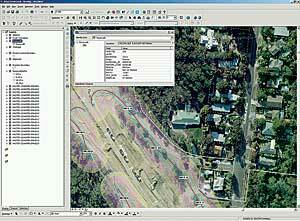 GIS services provided solutions despite limited resources. Staff now have easy access to accurate and timely information. 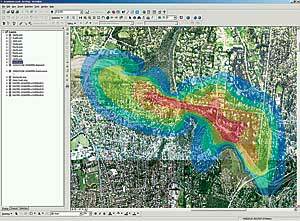 GIS solution reduced costs and improved efficiency. 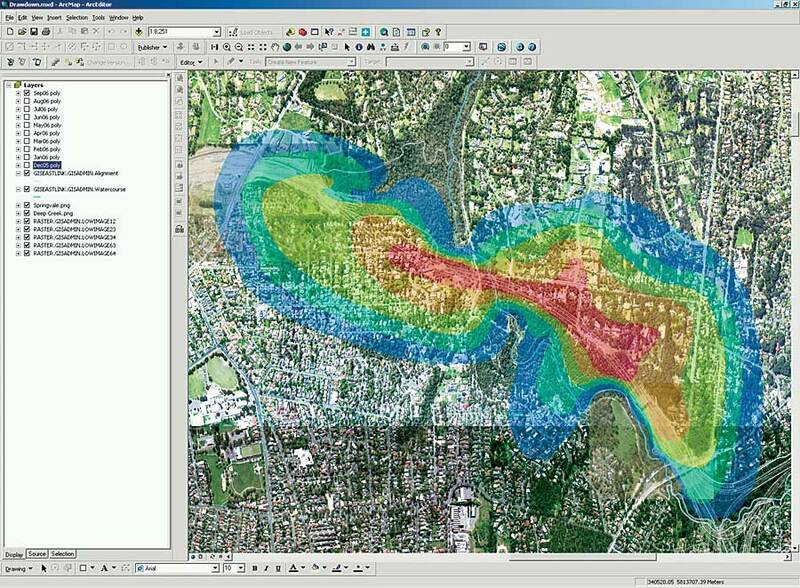 This image illustrates how tunneling activities in the Mullum Mullum Valley have affected the water table. Measurements from 12 monitoring devices were used to produce contours of the depth to the water table. 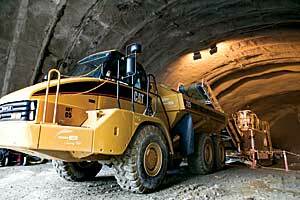 EastLink is Australia's largest road project to date and is being developed as a Thiess John Holland joint venture. The project will deliver Melbourne's second fully electronic tollway, comprising about 45 kilometers of freeway-standard road connecting the Eastern Freeway in Melbourne's east to the Frankston Freeway in the city's southeast. Thiess John Holland is an unincorporated joint venture between Thiess Pty Ltd and John Holland Pty Ltd, formed specifically to undertake the design and construction component of EastLink. With a continual stream of incoming data relating to design, survey, the environment, construction, community feedback, and planning, the communication and retention of this information were identified as major issues. The Community Department uses GIS to communicate and answer community-related inquiries about the constuction of noise walls on the EastLink Project. Four months into the project, GIS was identified as an ideal solution to host the myriad of location-based and textual data produced by a project of this size. It was also seen as the perfect platform by which to distribute this information to the whole project and an ideal tool to manage data for the completion and hand-over process. The GIS solution needed to provide high-quality cartographic capabilities; supply timely and accurate data to stakeholders; integrate with other corporate systems; be simple to use; be put into service by existing staff; and, most important, be cost effective. An innovative multistaged GIS strategy was implemented. The implementation included the procurement of new hardware and software, translation of computer-aided design (CAD) data, and development of Web-enabled applications. Esri Australia Pty. 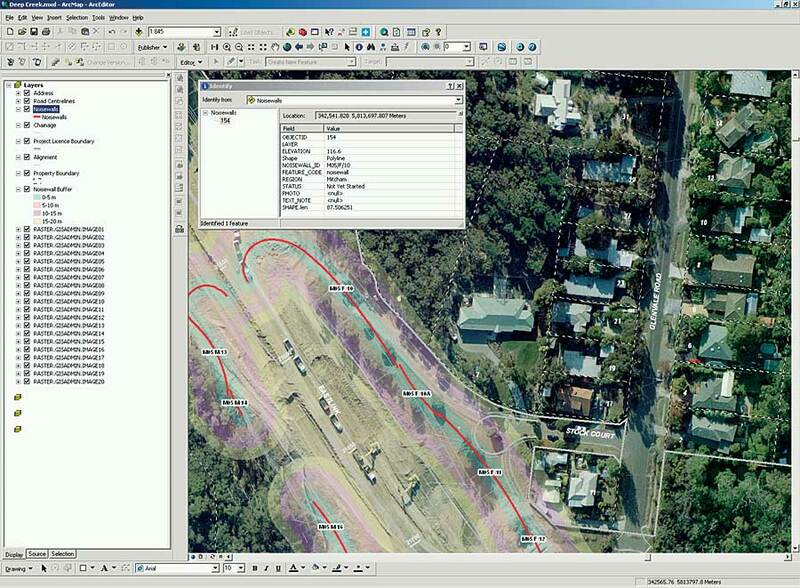 Ltd., Esri's distributor in Melbourne, was selected as offering the best solution for the project's requirements by providing the greatest interoperability with CAD filesa traditional data format that could be used in construction projectsand delivering all the required functionality using the ArcGIS Desktop platform and ArcSDE. Technical specifications, data models, data dictionaries, and symbol dictionaries defining the GIS data and map products were produced. With limited resources, the main focus of GIS services targeted the requirements of the environment, community, property, safety, completions, and tunnels groups. Training manuals were prepared and training courses conducted to educate and equip key project staff on how to use the GIS applications. 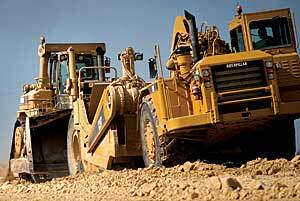 "The GIS solution is achieving the most efficient use of our dollars," says Jason Clark, GIS manager at Thiess. "We don't duplicate efforts or deliver products and services where they're not needed. That's key to stretching our limited resources." EastLink staff have easy access to accurate and timely information at their fingertips. The ease of map production using the ArcGIS Desktop platform resulted in significant productivity and efficiency improvements, making production 50 percent faster. Significant savings of approximately $50,000 per year were achieved by avoiding the need to outsource these GIS services and through the supply of products and services provided by the GIS solution. Automated data collection and validation using ArcPad and quicker editing of features within ArcGIS Desktop helped reduce erroneous data entry, ensuring more accurate data. Time required to locate and collate information in the system has been dramatically reduced, with this process now 80 percent faster. 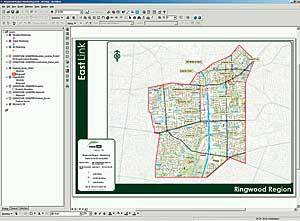 Reporting capabilities inside ArcGIS Desktop and the ability to integrate other corporate systems have provided EastLink with a powerful management tool. 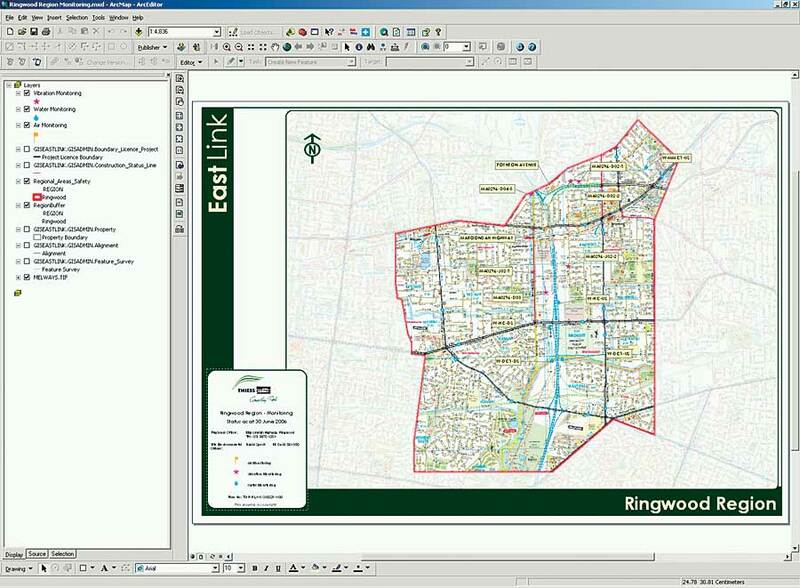 The Environmental Department uses GIS to identify the current spatial location for all the monitoring points within the Ringwood Region of the EastLink Project. Project staff can conduct data queries and analysis, produce maps and reports, and utilize enhanced field mapping capabilities. Staff with very little or no previous GIS experience are now familiar with using the GIS applications, and a large majority of the workforce now recognizes the importance of GIS. Staff have reported that the maps produced using GIS are much clearer and simpler to use as compared to the preceding plans produced from CAD packages. EastLink and Thiess John Holland are continuing to develop GIS capabilities with the further integration of business systems and services, bearing in mind the primary aim still remains: enabling easy access to data. Web development and fine tuning will continue, and the sponsorship of this solution to a broader audience will carry on. For more information, contact Jason Clark, GIS manager, Thiess Pty Ltd (e-mail: jdclark@thiess.com.au).